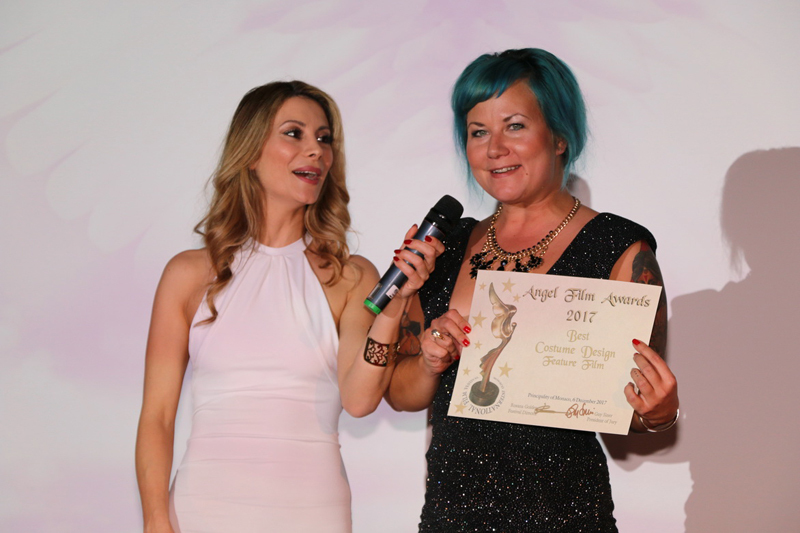 Best Editing, Best Custom Design!! 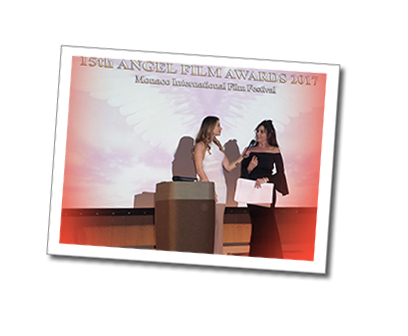 with AFA Host Antonella SALVUCCI..! 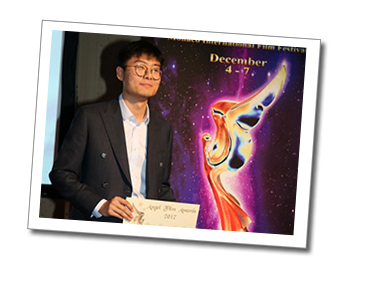 and producer during award ceremony photo call.. 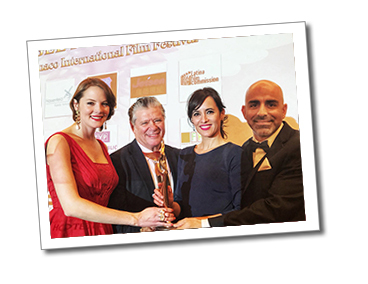 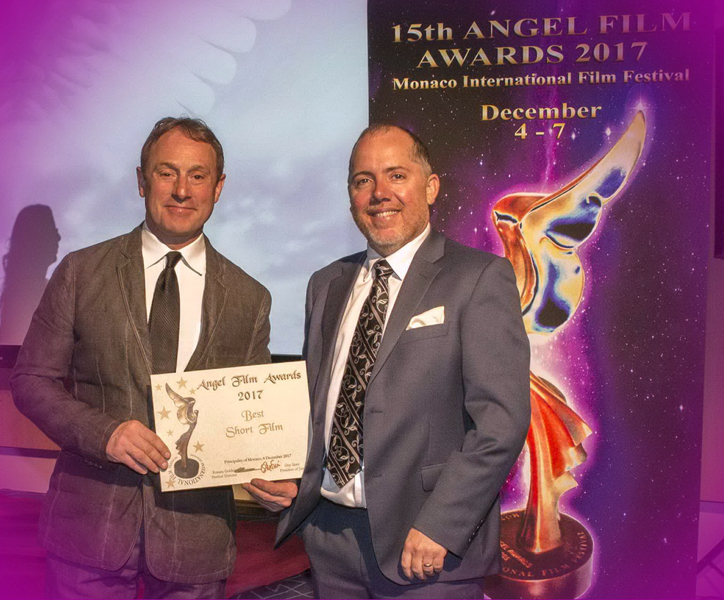 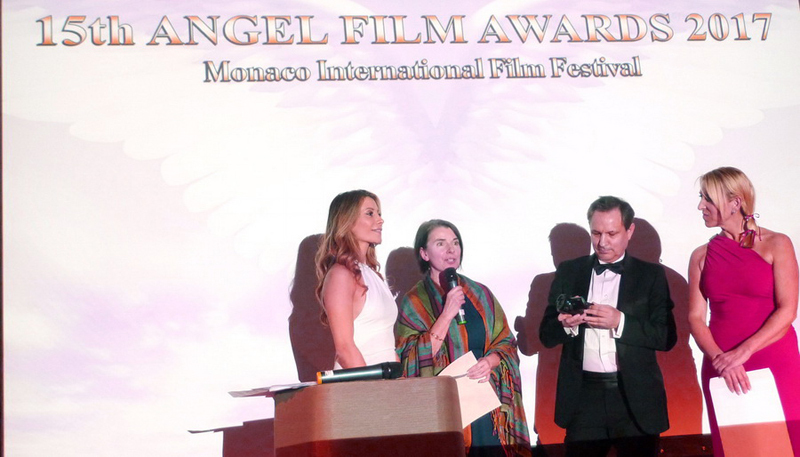 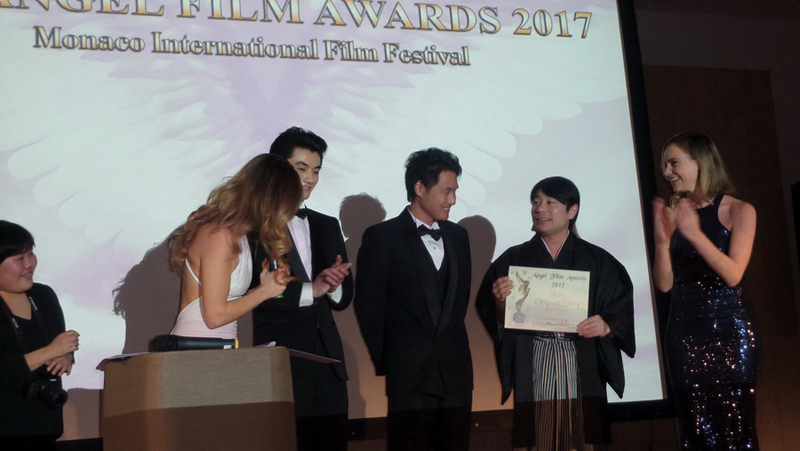 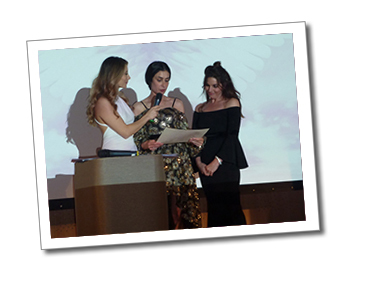 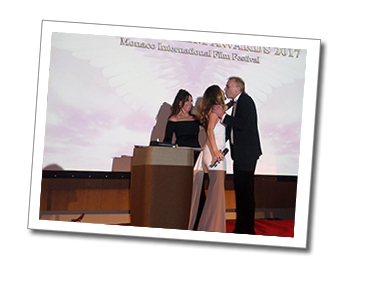 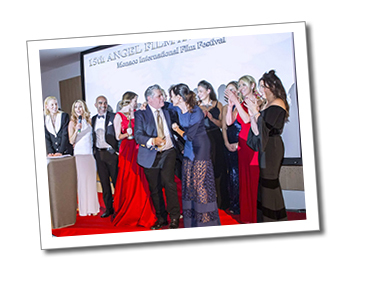 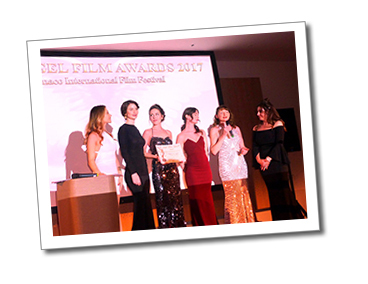 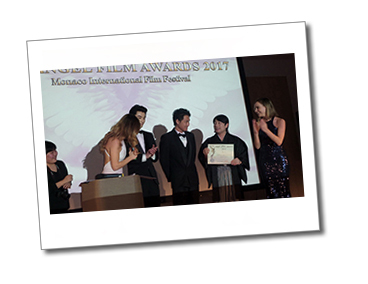 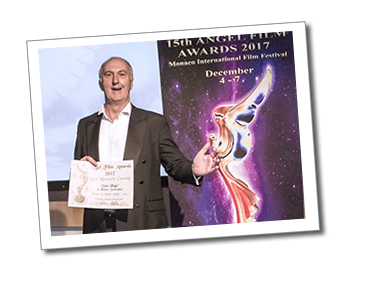 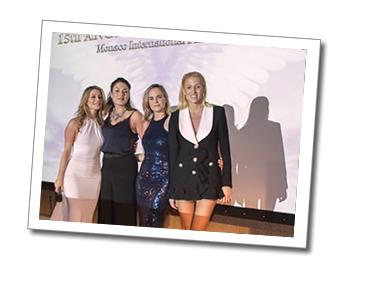 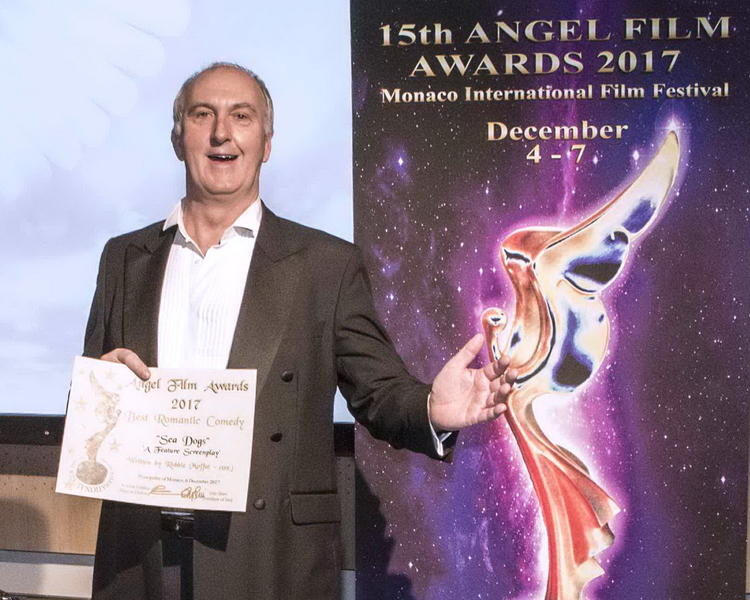 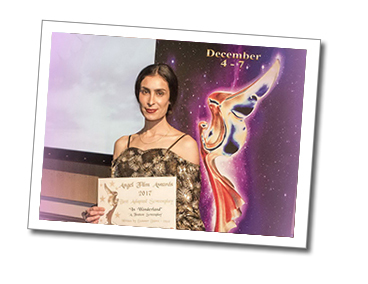 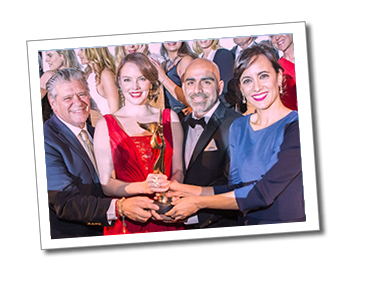 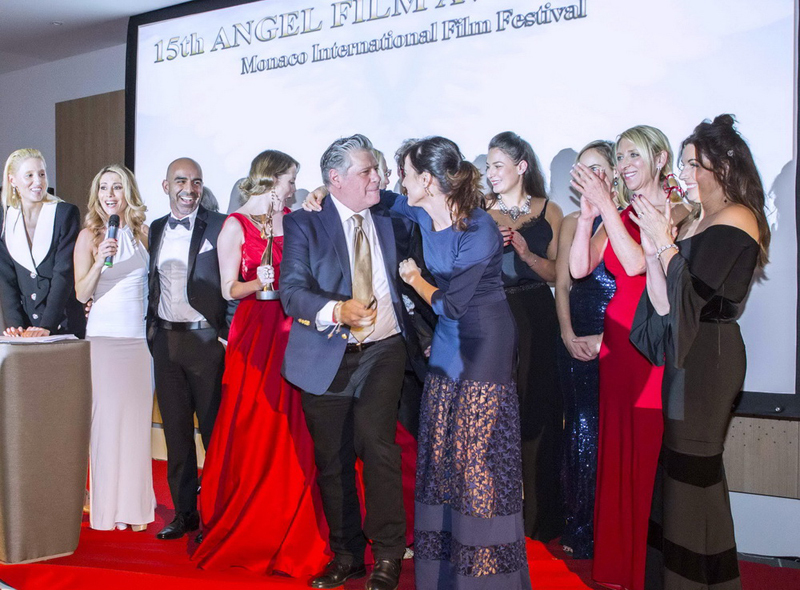 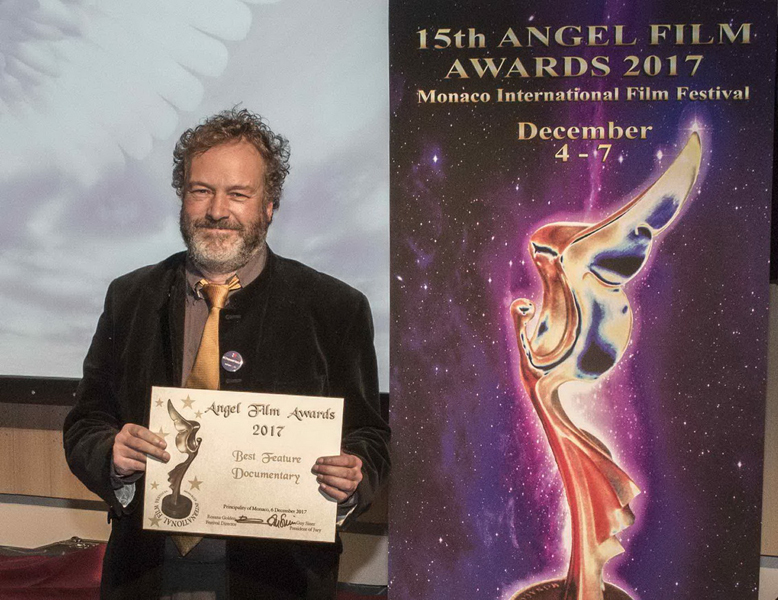 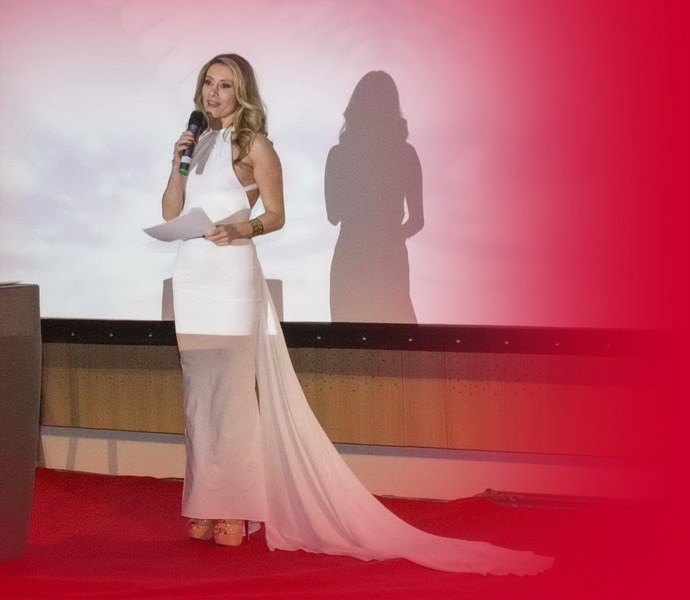 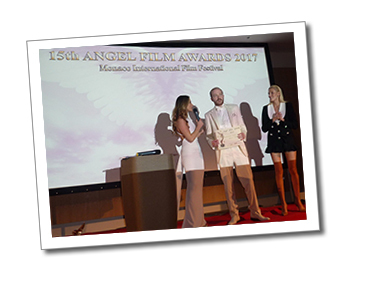 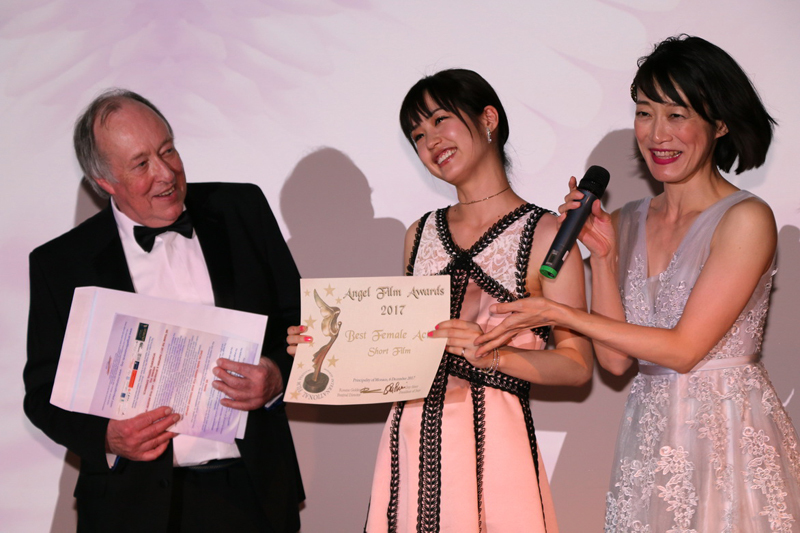 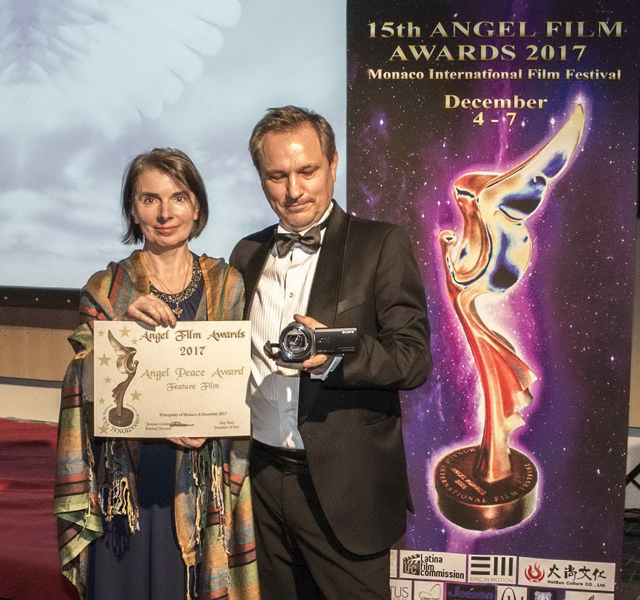 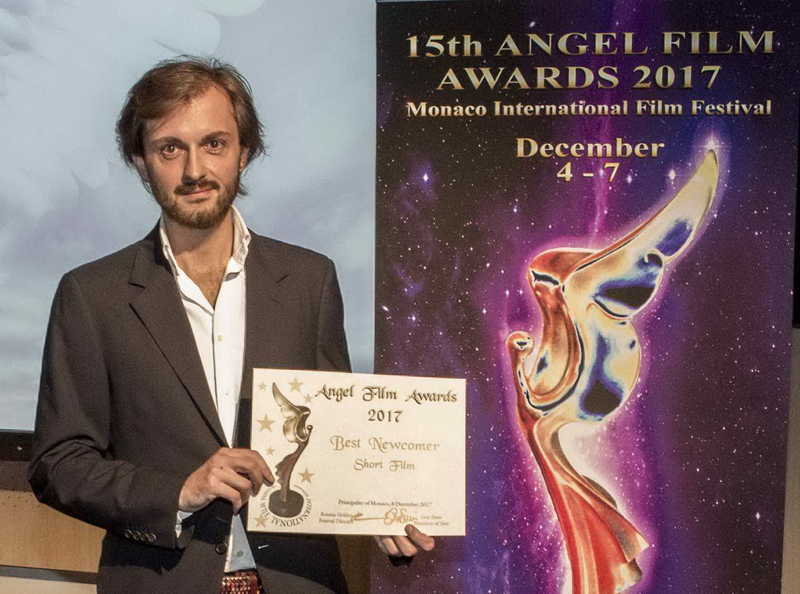 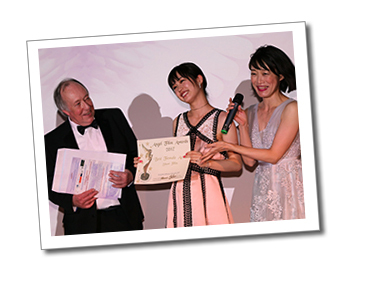 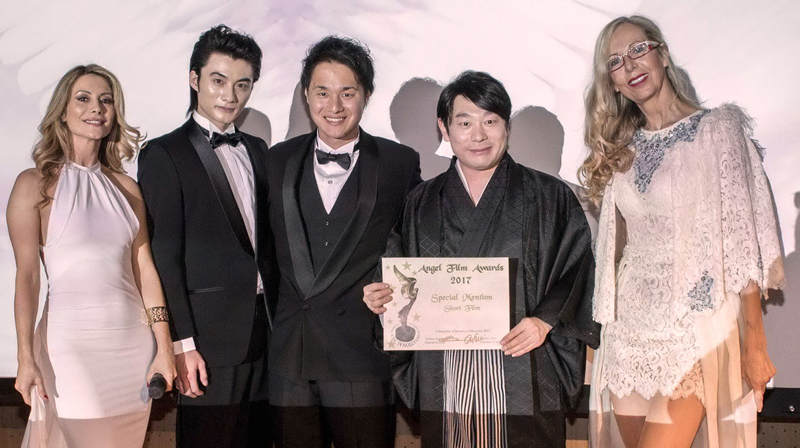 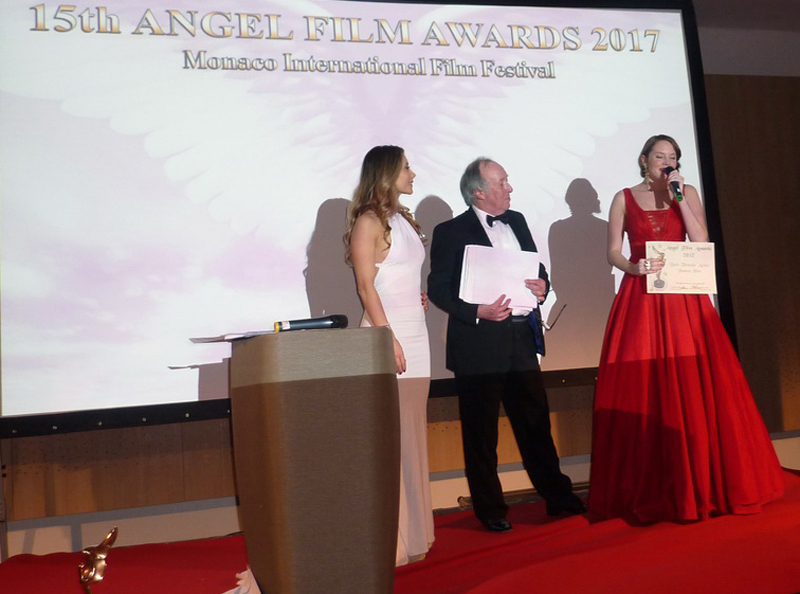 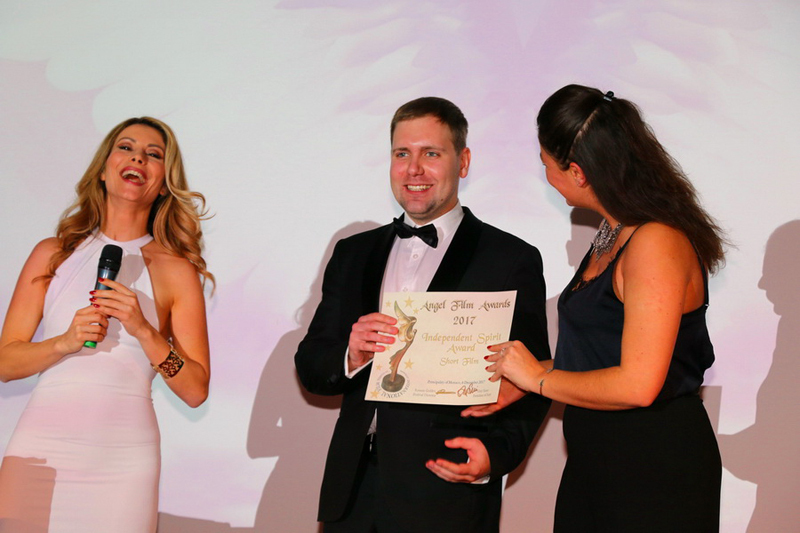 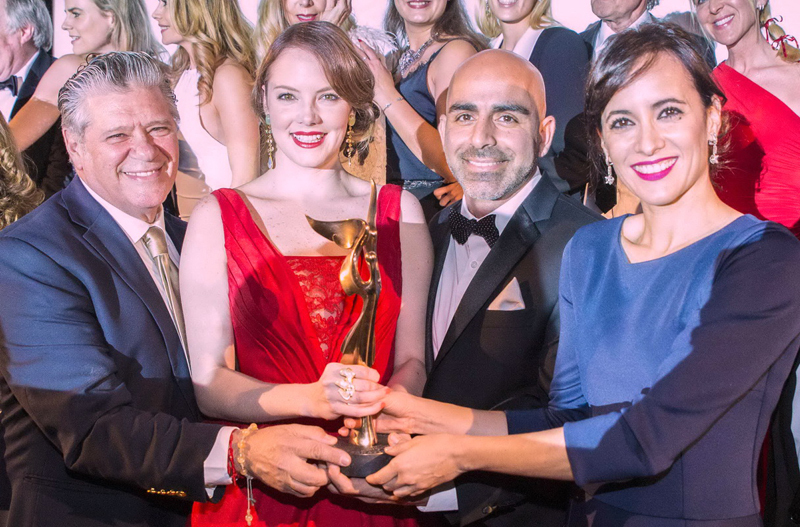 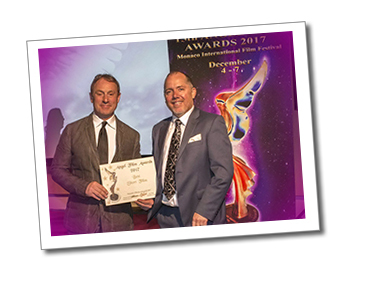 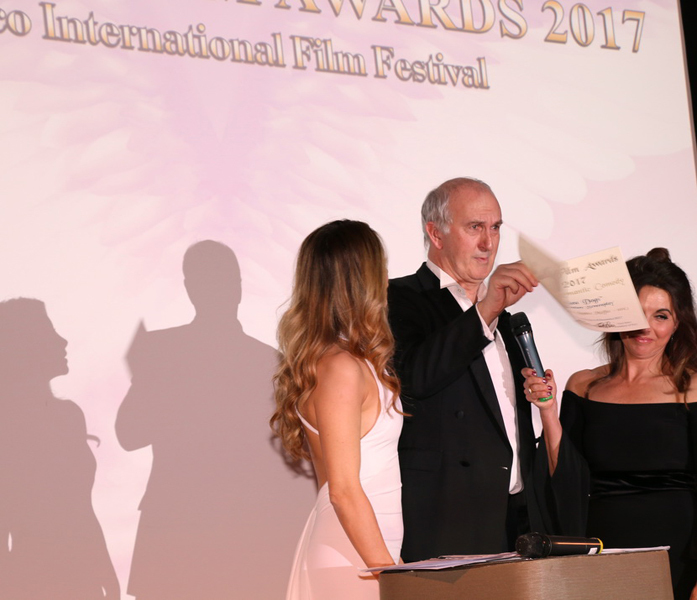 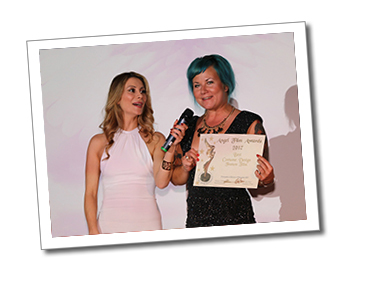 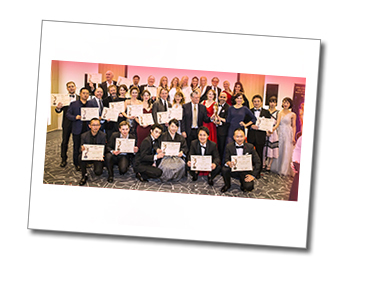 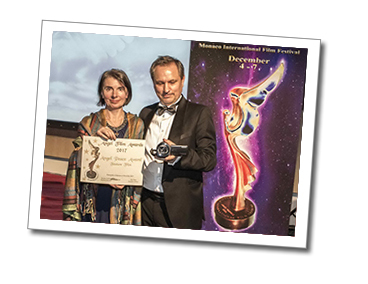 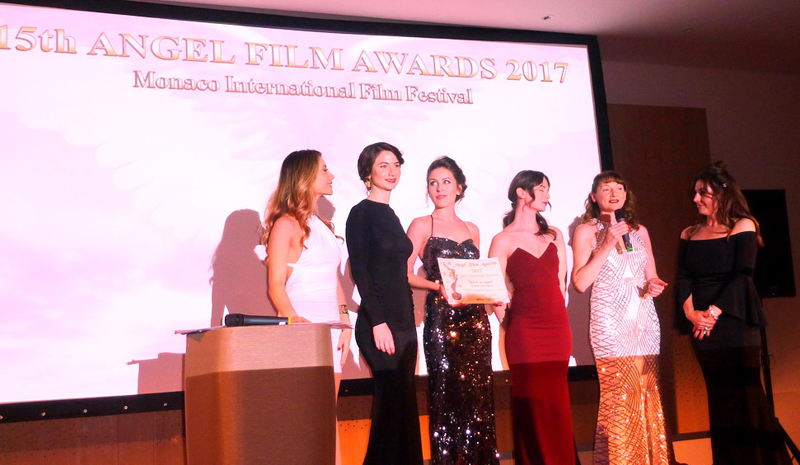 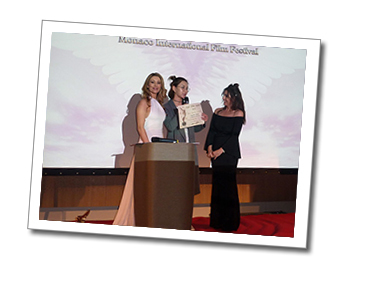 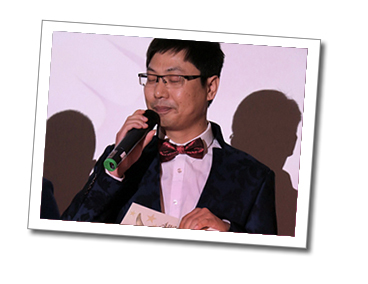 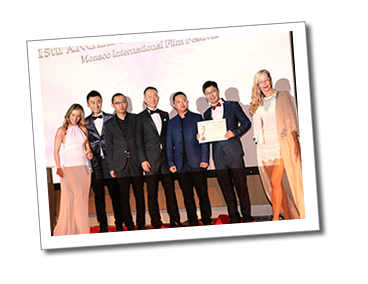 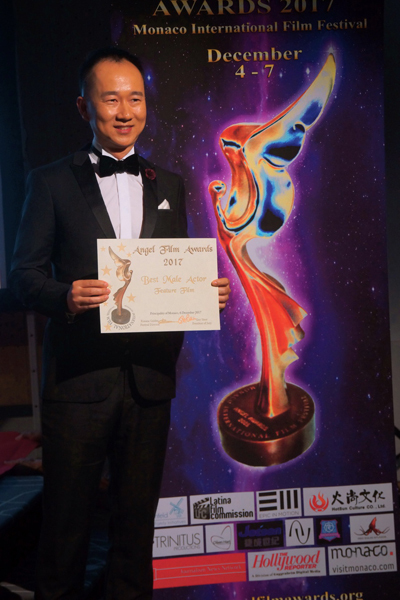 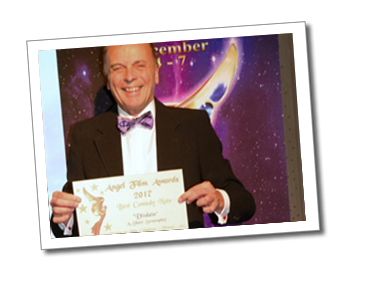 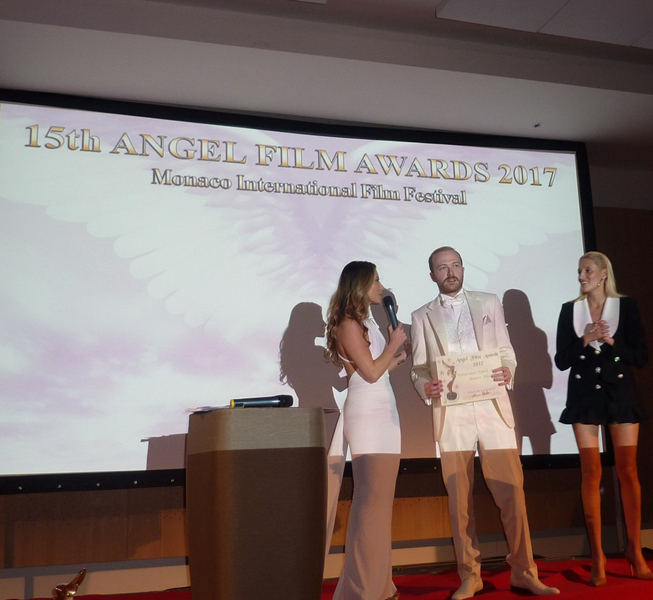 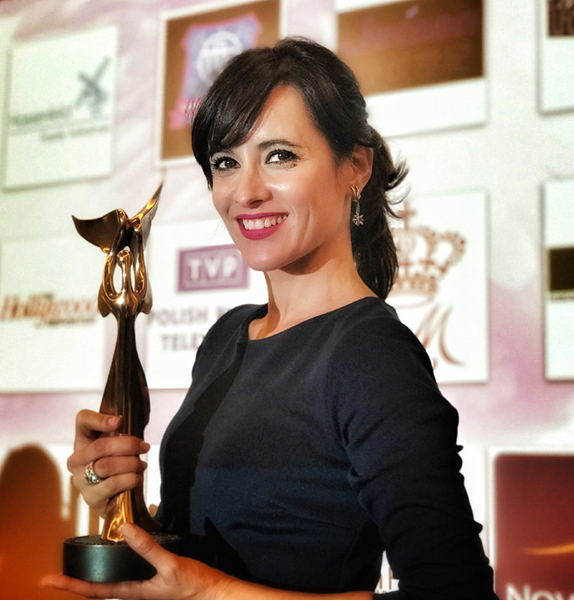 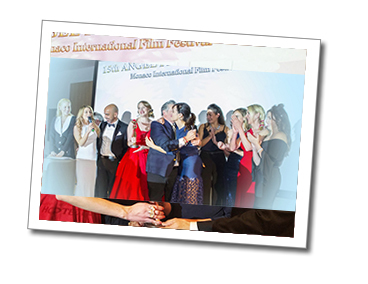 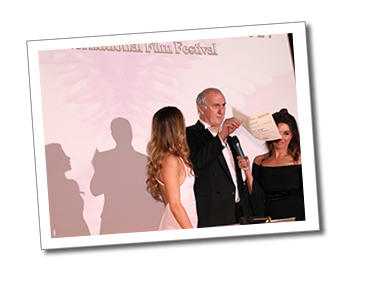 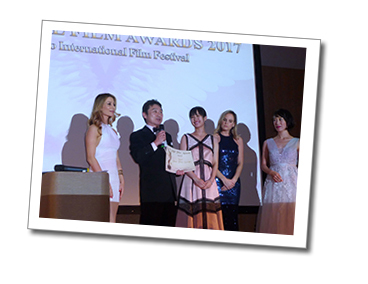 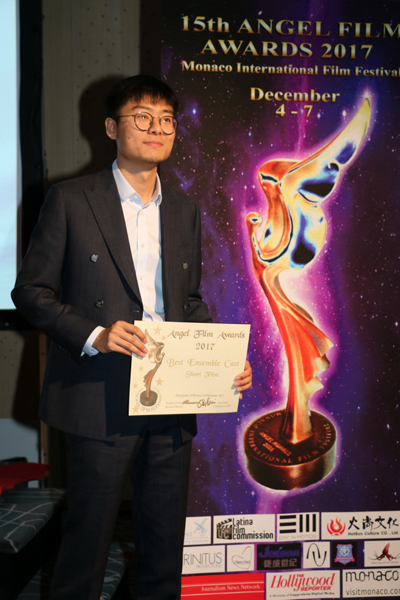 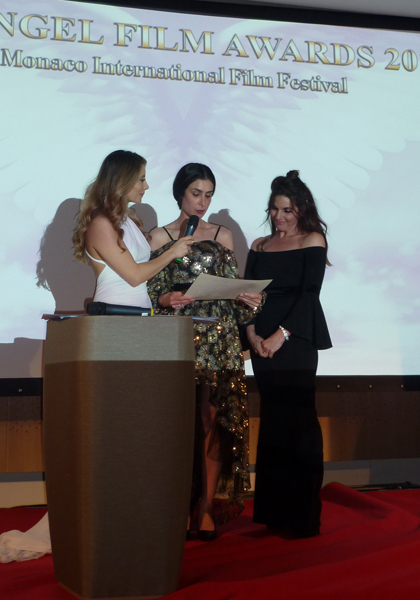 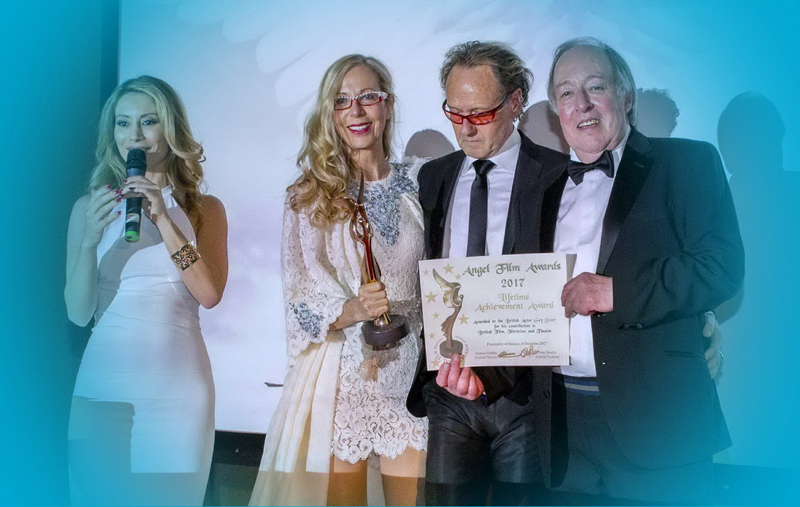 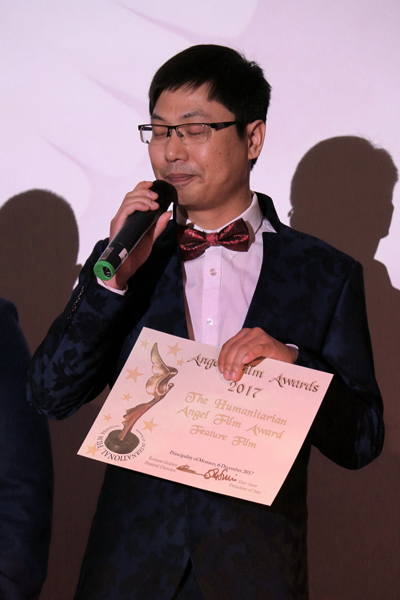 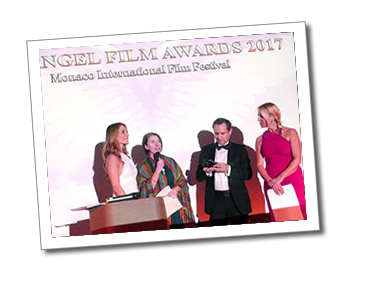 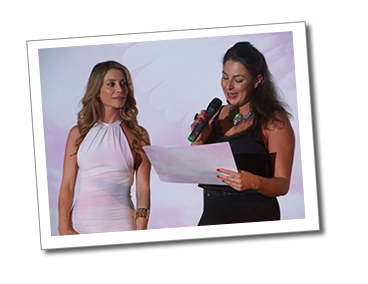 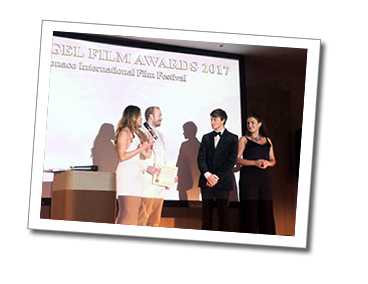 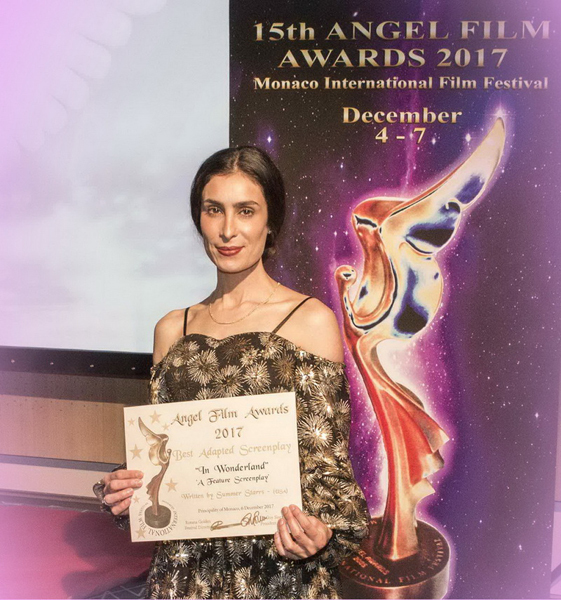 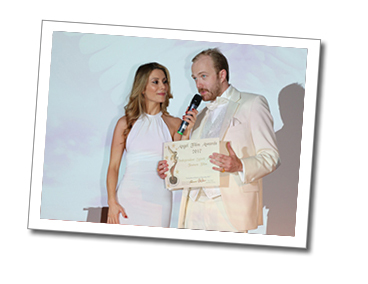 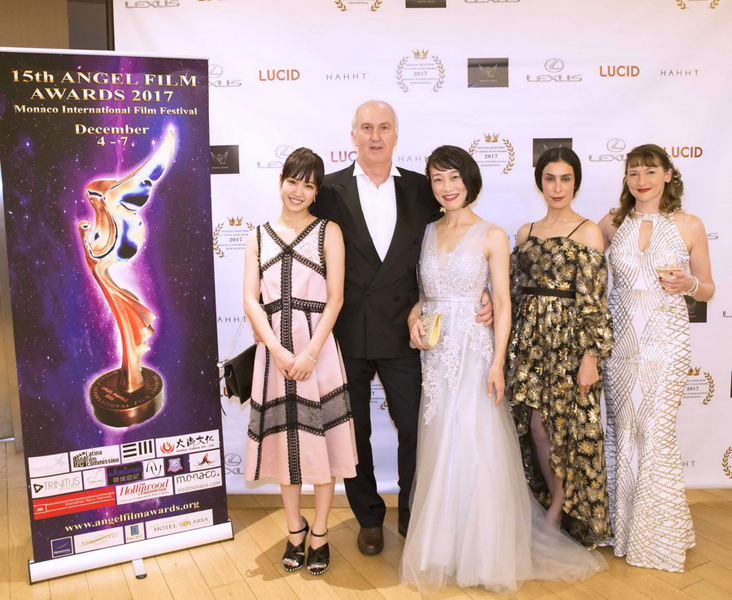 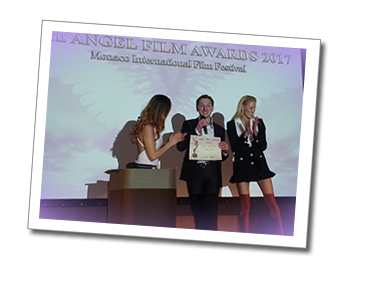 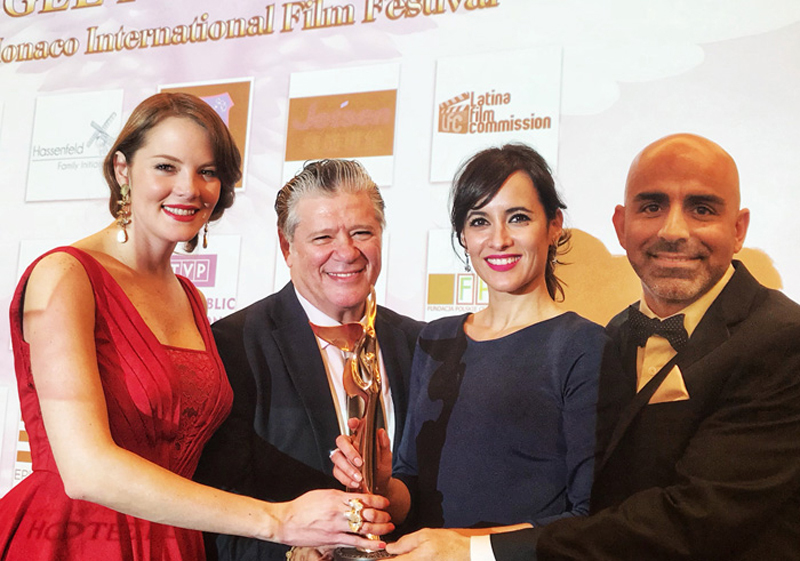 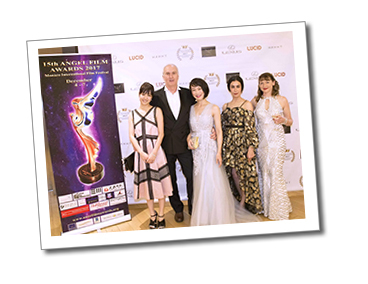 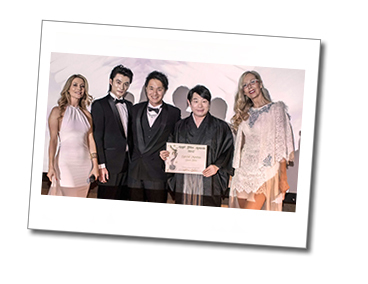 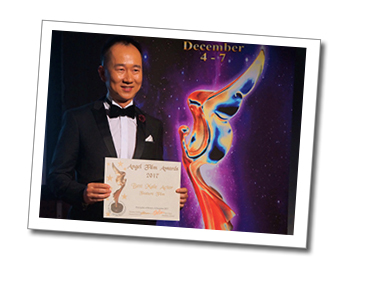 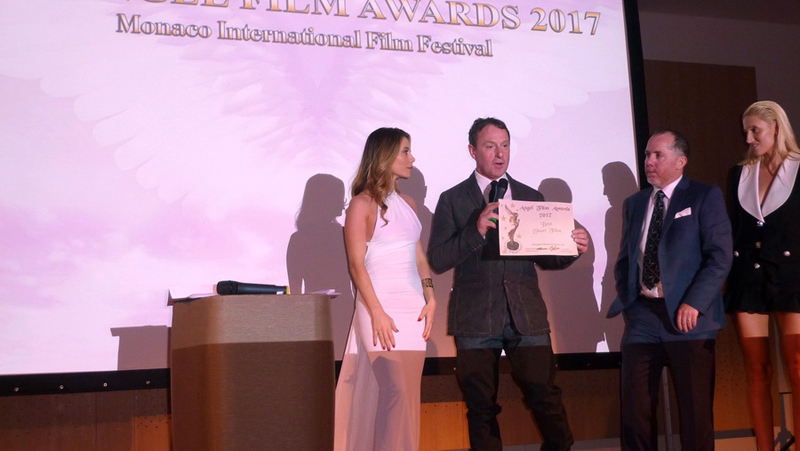 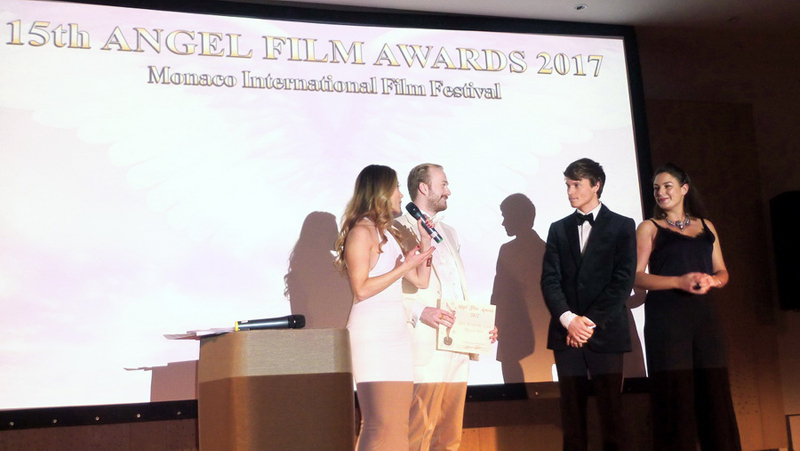 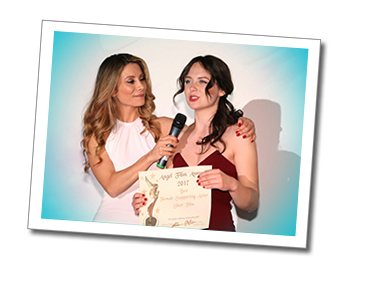 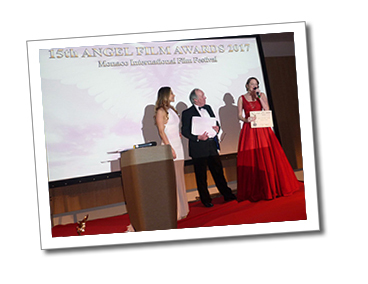 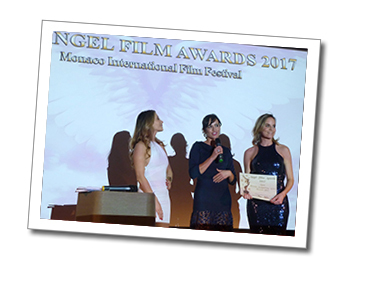 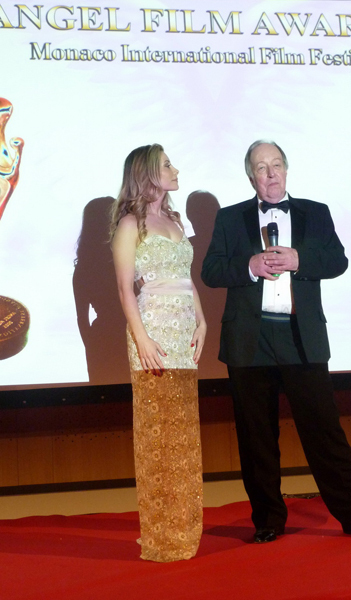 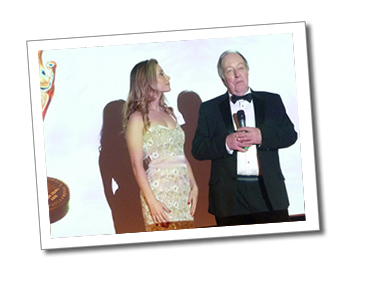 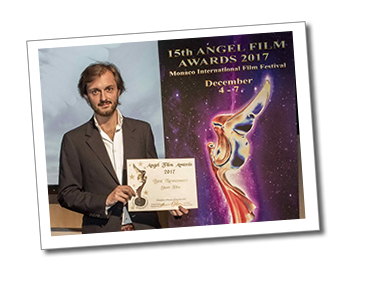 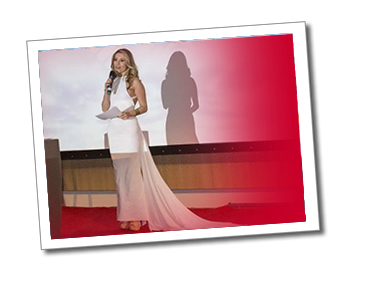 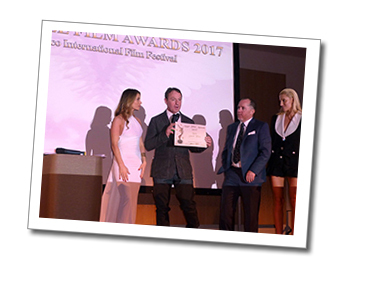 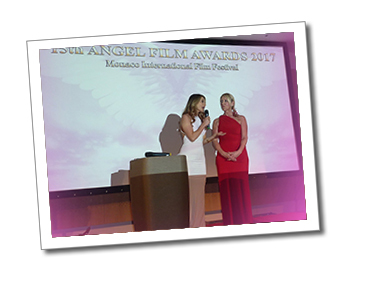 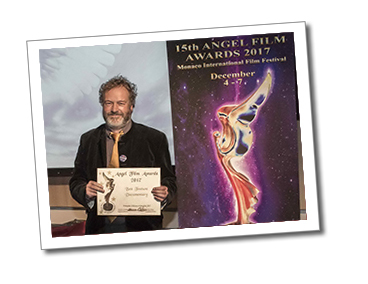 The Festival Director of the Angel Film Awards - Monaco International Film Festival on and about announcing award..
Angel Film Awards Monaco International..